If you like to fish with me, please use the form below to state your requirements and preferences. Or Contact me directly if you need more information. Most of my trips are out of Wanaka and Queenstown but my fly fishing safaris and expeditions cover most of the New Zealand’s South Island. Once or twice a year you can find me at my old hangout in Turangi, in Central North Island – fishing the Taupo, Tongariro, Otamangakau and Whakapapa region. You can join me there ex Taupo. The guiding rate is NZD 800 per day, for 1-2 anglers ($850 out of Queenstown as it adds extra two hours to my day.) Campouts are NZD 200 per person including all except alcohol. Any on-the-road costs: accommodation, meals etc are shared as they occur. To secure a booking and firm the dates, a 50% non-refundable deposit is required. All payments are via PayPal. Upon making a booking, you will receive a Paypal partial invoice which is payable within 7 days. The remainder of the payment is due prior to the commencement of the trip, as per final Paypal invoice. If I commit to our dates, I turn down other trips and work for this time. For this reason, if you book a trip and cancel within 60 days of commencement, there is 50% non-refundable payment. If you cancel within 14 days before the trip a full payment is required. Trips may be cancelled due to truly apocalyptic weather and floods. However, as we can roam over a wide area and diversity of waters, there is usually somewhere we can fish even if the original itinerary is changed. In any adventure activity, there is an element of risk involved. Risks in undertaking this activity include personal property damage, personal injury, illness as a result of adverse weather conditions, risk of drowning. The staff and management at TROUT BOHEMIA GUIDED FLYFISHING take all practicable steps to identify and minimize potential dangers. However, you must follow our instructions, and use the safety equipment provided, at all times. We reserve the right to withdraw any person who in our opinion is likely to endanger themselves or others. 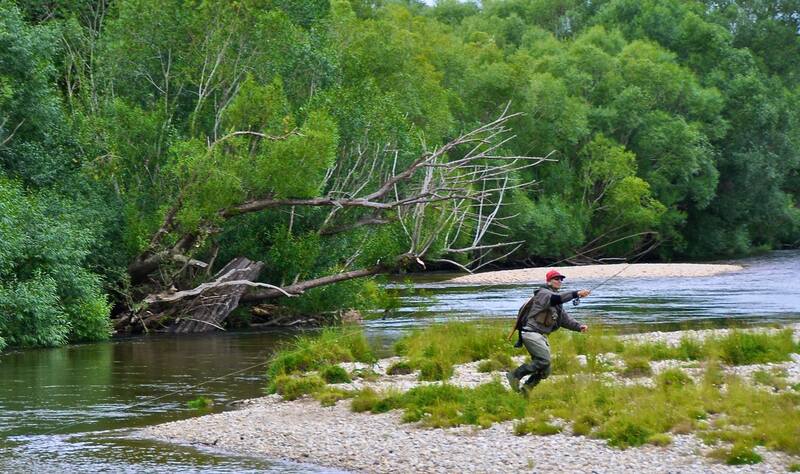 We also reserve the right to cancel the fly fishing guided trip if we become concerned for any reason for your safety or that of any other person. Adults accompanying any person under the age of 18 must ensure that the underage person follows our instructions at all times. By making a booking through this form you agree to accept our Terms and Conditions, and release or indemnify TROUT BOHEMIA GUIDED FLYFISHING staff against any liability we incur to anyone else, resulting from your failure to follow our instructions or the failure of any person accompanying you under the age of 18 to follow our instructions.